Hi! Guess what came by my doorstep yesterday! It’s September, and CONNOR’S Malaysia has something awesome to share with you guys. 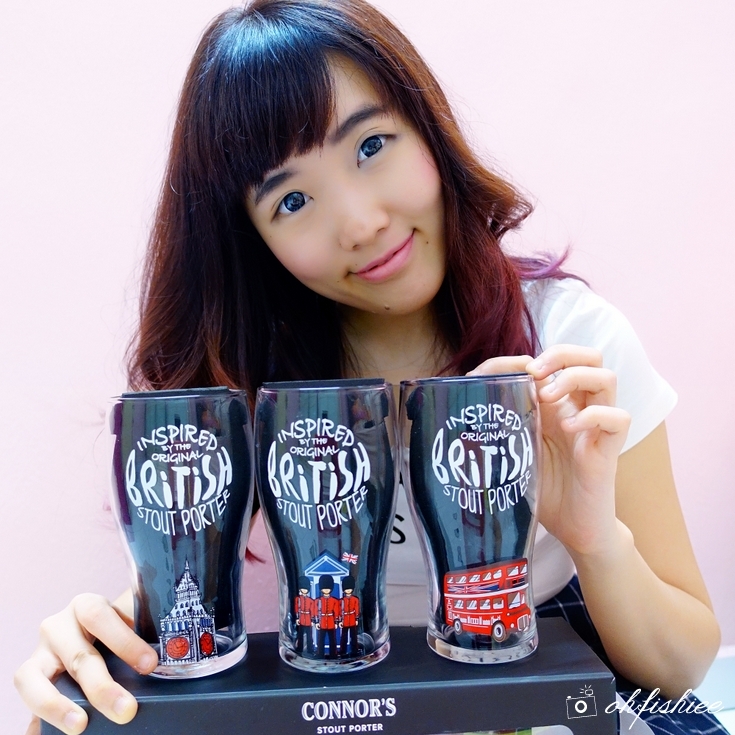 I just received my latest set of CONNOR’S Stout Porter 3 Limited Edition British-inspired Pint Glass which comes in 3 exclusive designs. Guess what’s the best part about it? The trio is a Limited Edition set, and each glass has my name printed on it! How cool is that. I am sure the set is pretty awesome for display, if not for enjoying my perfect pint CONNOR’S Stout Porter at home. As some of you may know, CONNOR’S Stout Porter is inspired by the original British Stout Porter recipe from the 1700's. Hence, taking the British inspiration to the next level, the designers have come up with 3 quintessential British icons that pay tribute to the distinct British story of the original stout porter. My personal favourite? Of course the cute Royal Guard! one (1) limited edition pint glass (500ml) Collectible pint glass – Total 3 designs. Not only that, more surprise is on the way! You can also etch your names on the limited edition pint glass. Now, it is no longer just a pint but your pint! Stout connoisseurs can snag their very own personalized glassware in the month of September at participating outlets for a pint made right just for you and your loved ones. 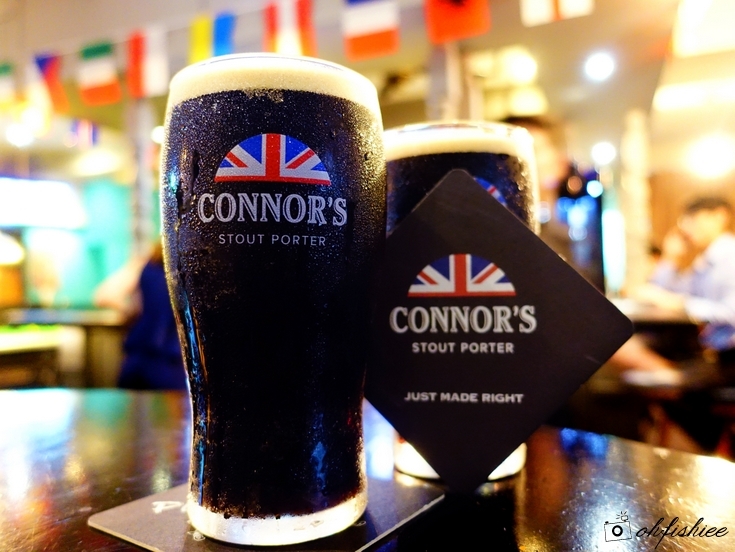 With purchase of 3 full pints (or 6 half pints) of CONNOR’S Stout Porter at the selected outlets, consumer will receive 1 personalized limited edition pint glass 500ml. Be quick to collect ‘em all! WANNA GET THE LIMITED EDITION GLASSWARE FOR FREE? YES, YOU CAN! (3 glasses in 1 set) for 3 lucky winners. Each of you will walk away with ONE (1) set each. Step 3: Leave a comment on my Facebook picture by tagging the @ohfishiee.com, @ConnorsMY and 3 friends of yours with a caption "I want to win this set of Limited Edition Pint Glass from Connor's!" Step 5: Keep calm and wait for the announcement of lucky winners! Why are you still on this page? Quickly head to my Facebook Page and join the giveaway now! I am sure this limited edition personalised gift will make every moment with the deliciously brewed CONNOR'S Stout Porter more enjoyable! Crisp texture, creamy head, gentle roasty undertones with a unique balance; it's a perfectly satisfying drink after a long day.